Recently I had my granddaughters age 3 and 5 over for the day. I pulled out the “art bin” with the crayons, scissors, colored paper, stencils, coloring books, sticker books and old magazines. 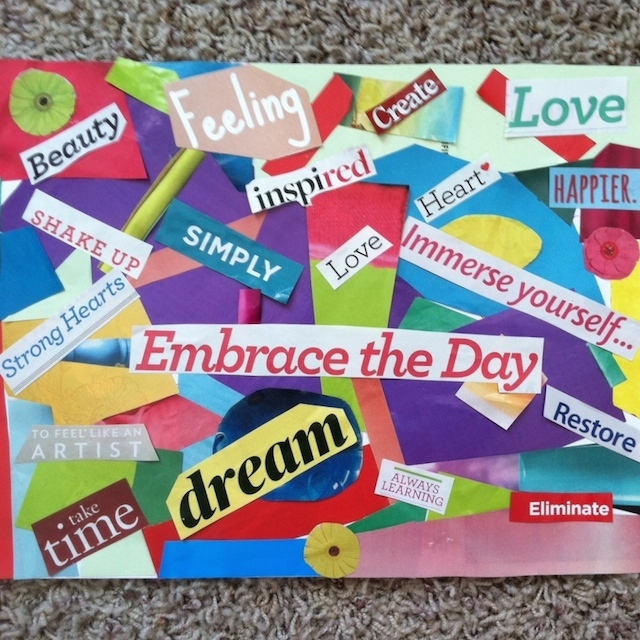 I was encouraging the girls to make a collage…to cut whatever they wanted from a magazine and glue it onto colored paper. This was a great idea…for about a minute! Then they were off playing as I continued to sit at the dining room table cutting from magazines. I found my eye drawn to bright colors…lime green, purple, yellow, red, blue and orange. My eye was drawn to the words…embrace the day, take time, create, heart, beauty, eliminate, feeling, immerse yourself, simply, inspired, love, restore, strong hearts and dream. Dream…that is new to me in the past year. As I think about that, I wonder how many of these words would not be in my collage a year ago. Quite a few actually. I wonder what words would be on your collage right now. I wonder what words will be on my collage a year from now. I have no idea, but the possibilities put a smile on my face! 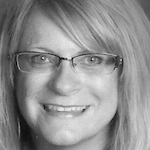 Deanna Sturgeon lives in Michigan with her husband of 30 years. A mother of three boys and three grandchildren, she loves spending time with her family and friends, camping, lounging at the beach, and reading. She is learning to embrace what wild Jesus has for her through love, dreams, hope and laughter. I’m feeling inspired to go make my own collage…put all those magazines I save to good use! I love your words, and how they highlight change. Good things to ponder! Let’s get out our crayons and color! Your collage is as bright and beautiful as you are, Deanna. Love it! I often find myself working on art long after the 3 year old grandson has lost interest. I also loved making collages and saved unique pictures and words for years. Wonderful post, Deanna…wonderful words to wake up my day! Thank you. I want to come play at your house! Loved this.